1. 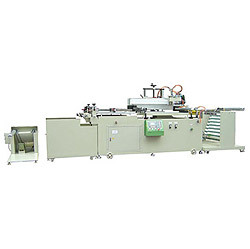 Product name: CNC full automatic continuous rolling screen printing machine. 10. Suitable for softly transparent & opaque whole roll printing such as : soft electric circuit plate (FPC), paper, OPP, PVC, soft plastic leather, transfer paper, self-adhesive marks, aluminum foil, copper foil, nylon etc.